As I mentioned in the previous post, I'll be using the fleecy backed knit for my first foray into athleisure. It looks like it would be the most forgiving. (The loopy backed fabric has me completely freaked out!) I'll also be using the Jedediah pattern from Thread Theory. It's a moderately slim pant, and I've made it multiple times. Since I have pretty limited experience sewing with knits, I experimented a bit just to see what's possible (and also what's probably not). The Armani pants I tried on had a single welt pocket in the back, and it looks like that's entirely possible. 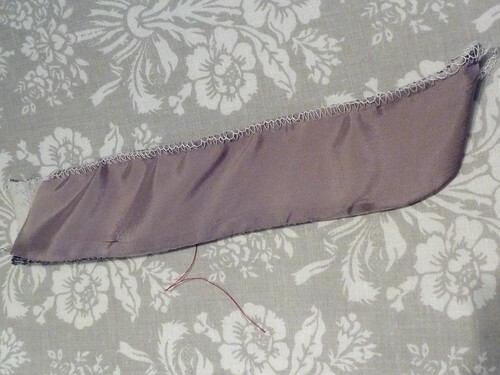 I've pulled out my serger, which only does an overcast stitch, and it had no problem going through the material. One thing that's clearly obvious is that I'll be doing lots of trimming, and I'll need to be thinking of strategies to reduce bulk wherever I can. Oh.... And making a buttonhole was a complete disaster. 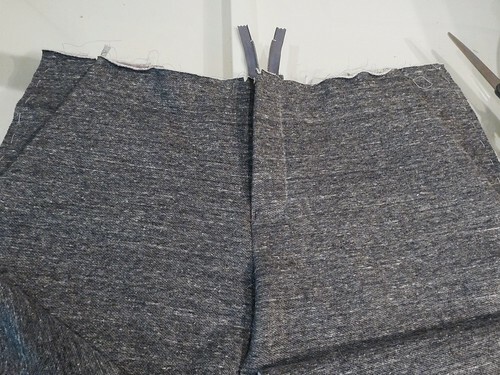 I've decided to make the pockets with bemberg rayon. It's super slippery and can be a challenge to work with, but it adds almost no bulk. 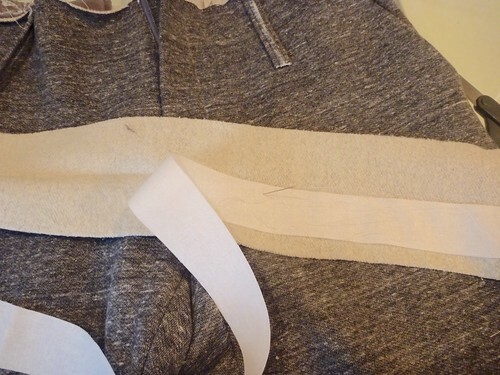 Here I've stabilized the edge of the slant pockets with a strip of Snug Hug seam binding. 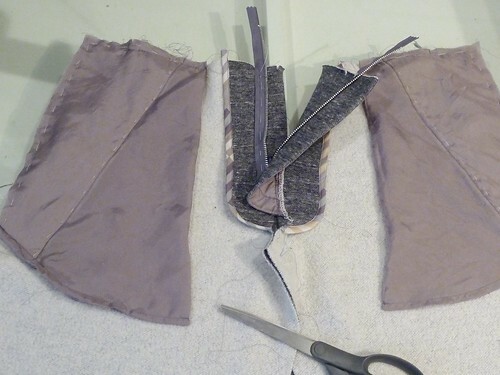 This should prevent the pocket openings from stretching out. It also adds almost no bulk. Not everything goes smoothly. Case in point, this dreadful zipper shield. Oy! Ah, much better after applying a lightweight fusible to the bemberg. 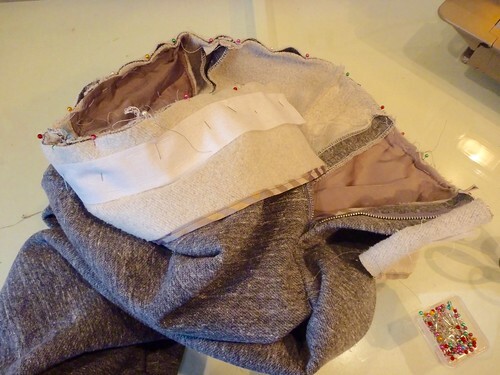 Another helpful tip from Roberto Cabrera is to always sew with the slippery fabric on the bottom. It really does help. The completed front / fly from the inside. The bias binding was a gift from one of my readers and it was perfect for this project. And here is the front view. No fake Bottega Veneta fly! 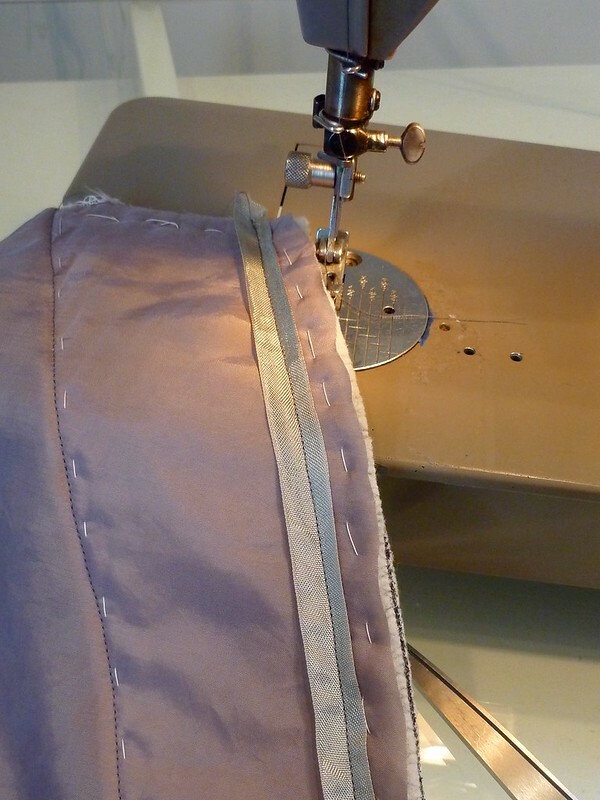 The waistband is interfaced with Light Crisp sew-in interfacing from Fashion Sewing Supply. 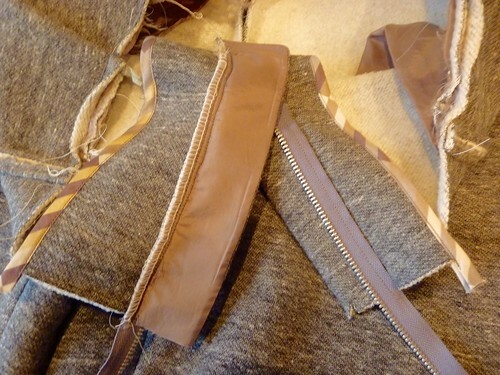 It's a lot of basting, and probably my least favorite step in making a pair of trousers. I should be wrapping these up soon. Next I'll be launching into a jacket to go with them, so no reveal for awhile. Lastly, have you been checking out the menswear shows in London? Fall 2016. Holy Athleisure, Batman!!!! It's everywhere. I'll be adding my own take on the trend soon! In the meantime, here's a little compilation of boat progress. They are coming along nicely! I think you are the King of Snug Hug! 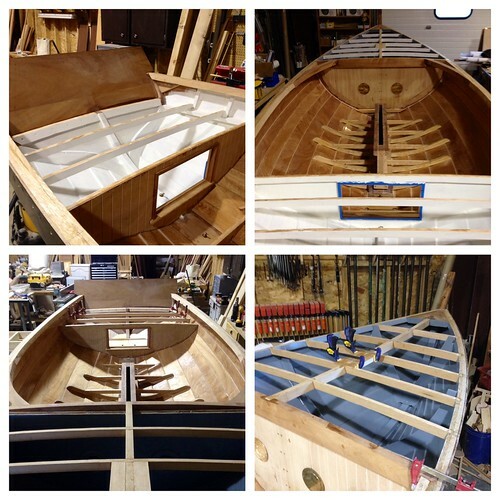 WOW that you are building your own boat!! 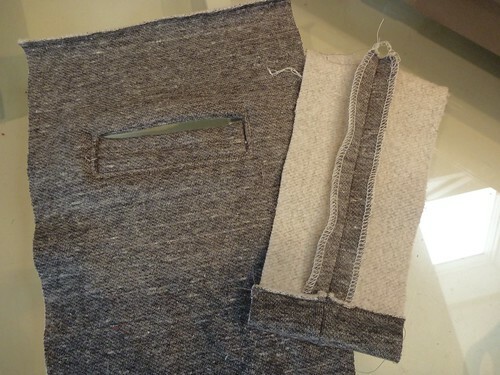 These pants are coming along quite nicely! And AMAZING on building your own boat - WOW! Looking great so far! I love the way the pockets are shaping up. Great dress and pictures.. amazing patterns for sewing. Would definitely recommend! I've become a "swatcher" !